Women serve as the primary or co-breadwinner in two-thirds of South Carolina’s families, so women are key to our state’s economic health. Yet women are more likely to live in poverty, are not paid wages equal to men, and many women face discrimination in the workplace. Fewer opportunities and lower pay undermine women’s lifetime income, which not only affects her own life, but also her children and family members. Economically empowered women and moms are the key to healthy and successful families and intergenerational economic mobility. WREN is working to educate and advocate for better economic opportunities for women across the state. In the past year, one of WREN’s top legislative priorities, the South Carolina Pregnancy Accommodations Act shattered barriers as the first state-level bill in the south to offer crucial protections to pregnant employees. Bills like these ensure that women can remain in the workforce and provide for themselves and their families. Click here to learn more about related legislation and advocacy opportunities. The Women’s Economic Empowerment Coalition facilitates coordination, communication, and collective action among organizations and individuals in the Upstate of South Carolina. The Coalition elevates the role that women can play in ending generational poverty in our communities and will catalyze more commitments and investments to support women and their families. To learn more and participate in the Women’s Economic Empowerment Coalition, email info@scwren.org. WREN’s Workforce Advisory Group for Equity (WAGE) consists of leaders from diverse industries and backgrounds, who are committed to WREN’s efforts to support women in the workforce. Advisors provide input on strategies to increase women’s participation and advancement in South Carolina’s workforce, including: hiring and recruiting practices; training and educational opportunities; shaping workplace and public policies; and other key strategies. If you are interested in learning more about WAGE, contact Brandi Parrish Ellison, Director of Policy and Government Relations at bpellison@scwren.org. WREN hosts an annual statewide event to bring a diverse group of business and non-profit professionals, researchers, policymakers, students, and advocates to learn more about the role of women in South Carolina’s economy and society. To learn more about the 2019 WREN Summit, click here. There is a significant, projected workforce shortage in South Carolina over the next decade. By addressing this workforce need, women have the opportunity to create a net gain in economic activity for our state and simultaneously make strides in reducing the gender wage gap. Why It Matters In SC? Working women are more likely to work in low-wage jobs: in fact, three-quarters of South Carolina’s low-wage workforce is female. This is one of the highest rates in the country. 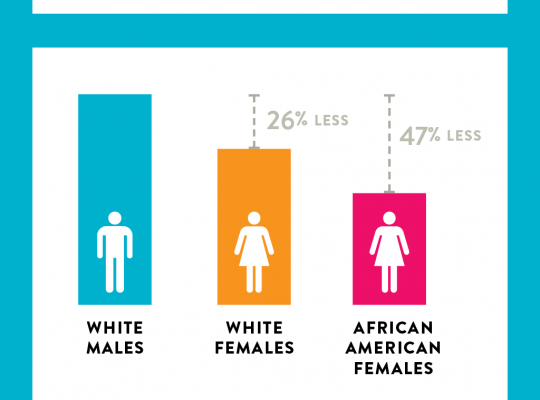 African American women earn about $0.53 cents on every $1 earned by white men. White women earn $0.74 cents to a white man’s dollar. South Carolina ranks 47th in the best states for working moms. WREN advocates for closing the wage gap. We support policy strategies that will make it easier for women to earn a living, advance in their careers, and support their families.